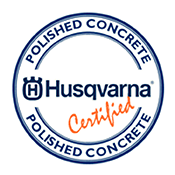 Designer Floors use HiPERFLOOR Polished Concrete by Husqvarna. A complete concrete surface polishing system, which enhances the beauty, strength and abrasion resistance of concrete floors while reducing maintenance and costs. Polished concrete is an eye-catching, stylish feature for any commercial, industrial or residential property. This versatile flooring solution is renowned for its hardwearing and versatile characteristics. Imagine having floors that are grout free, low maintenance, and stain and scratch resistant! Not only will polished concrete stand the test of time, it is energy efficient, hypoallergenic and guaranteed to enhance the design of your home or commercial property. There are no questions why polished concrete floors are the perfect flooring solution for our Perth climate. 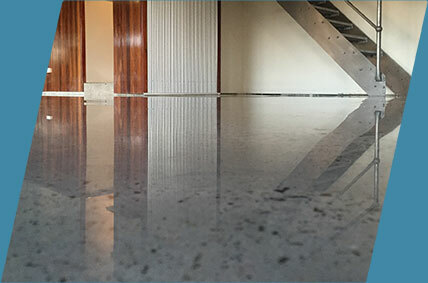 At Designer Floors, we are Perth’s concrete polishing experts. We pride ourselves on having the highest level of attention-to-detail and quality service. Contact us for your complimentary quote and to discuss which style of polished concrete is the best solution for you.